A pre-configured solution that provides a communications interface to the Caterpillar® line of Industrial Engines and Generator Sets via different protocols and data maps. A protocol converter and a full featured HMI that provides direct access to engine monitoring parameters from industrial equipment via many different protocols and memory map formats. 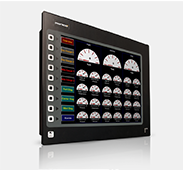 The HMI offers all the same features of the J1939 Gateway™ with the addition of an operator interface. 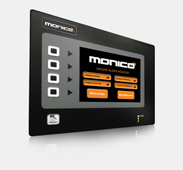 The Programmable Remote Annunicator leverages the capabilities a Gateway and syncs those capabilities with an HMI to create an annunciator panel.